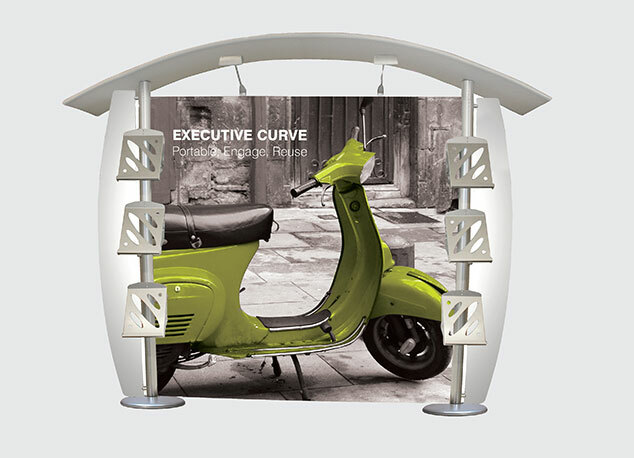 Linear Executive Kits are off the shelf stands which can deliver displays with real style and impact. 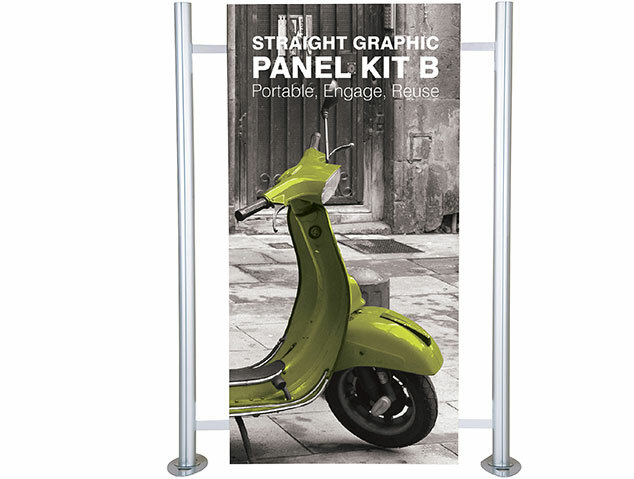 They are ideal for semi-permanent displays in showrooms, shopping centres and exhibition venues and with three accessory variations to choose from and the availability to attach your own graphic backdrop these stands can be truly personalised. 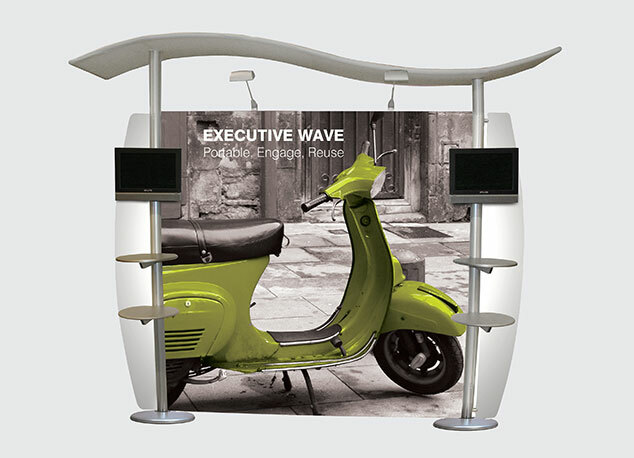 Linear Executive Panels like the Linear Curve and Wave kits are stylish and impactful semi-permanent displays which once again are ideal for showrooms, shopping centres and exhibition venues. 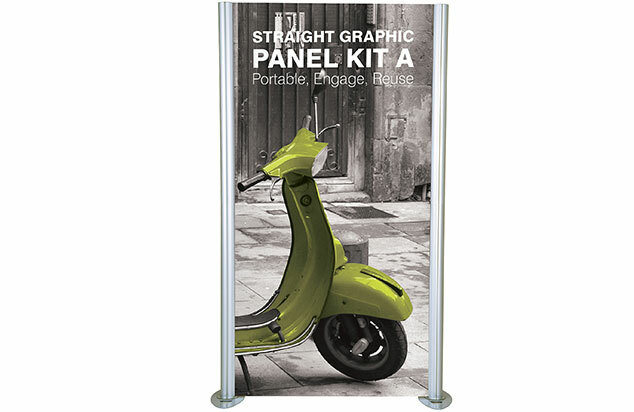 These panels offer you the versatility of creating your own stand by connecting more than one together or simply pick one of the four sizes available off the shelf and personalise with one of the many accessories. 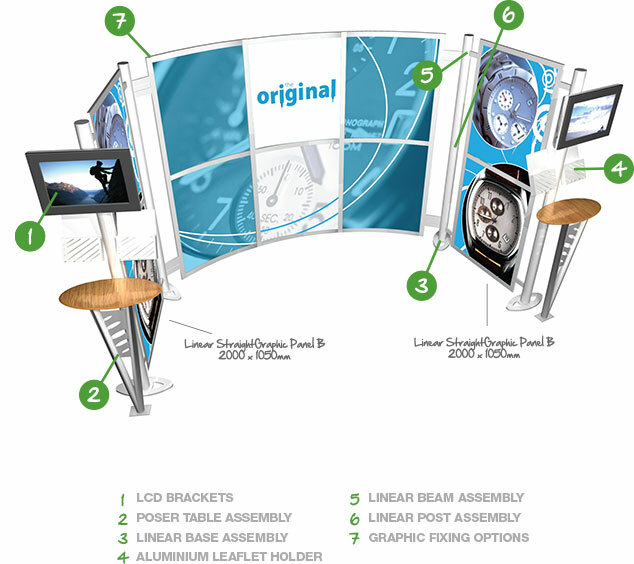 Thanks to the versatility of the Linear range you can create your own unique stand or let us design and do it for you. 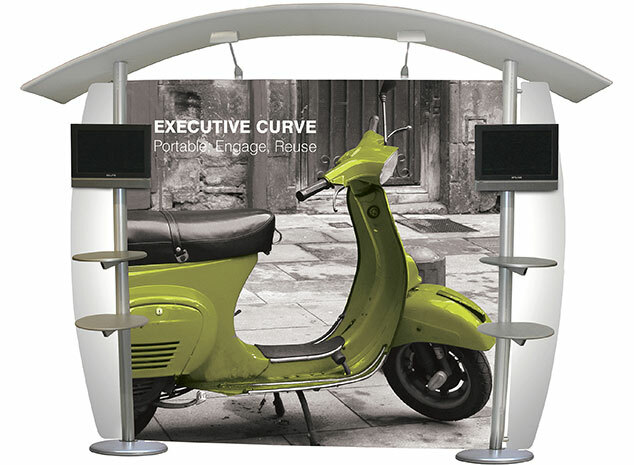 6x Literature holders (lights are not included). 2x LCD mounts, 4x Literature holders (lights and LCD monitor are not included). 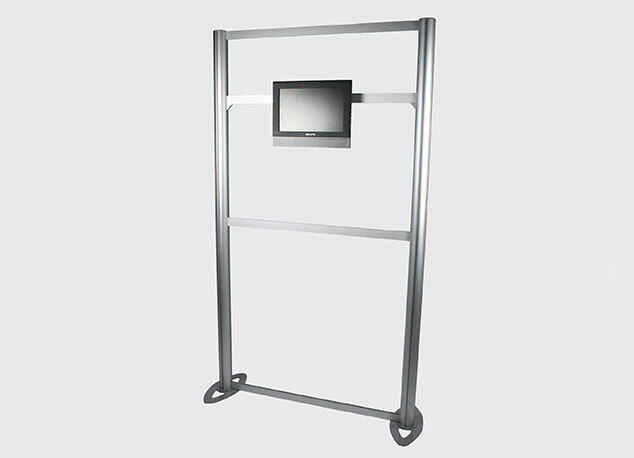 2x LCD mounts, 4x Linear shelves (lights and LCD monitor are not included). 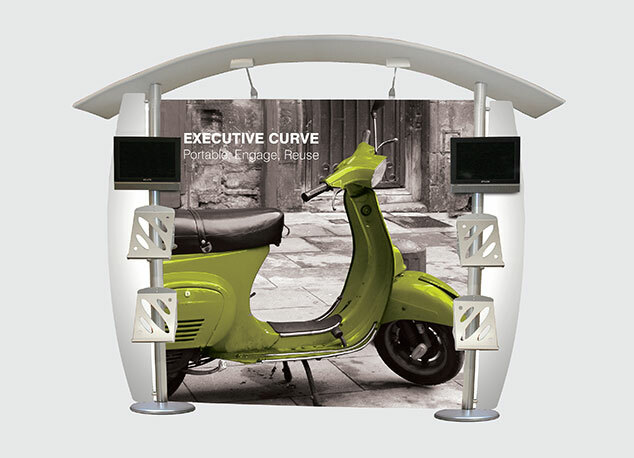 Add a 150watt mains halogen floodlight to your Linear Exec Curve. These lights are available in black and silver and come with a 3m power lead with either a UK or Euro plug. 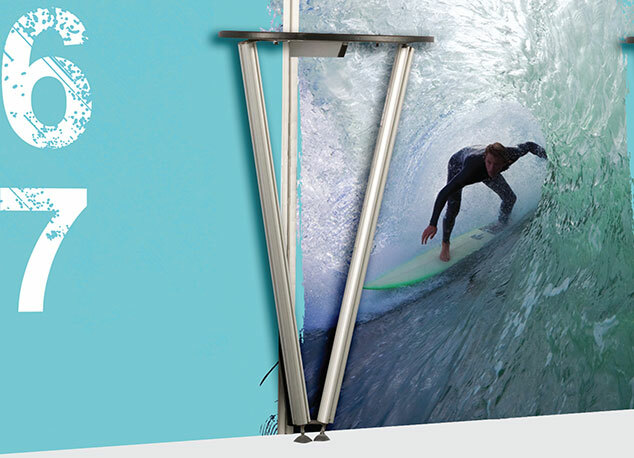 With a 250mm straight arm and adjustable head, these lights offer an added touch to any semi & permanent systems and are available to buy singly or in pairs. 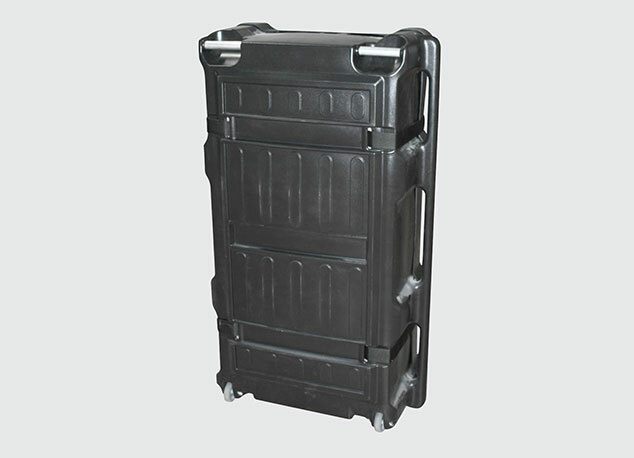 Extra strong, moulded, wheeled case to protect Linear components during storage or transportation. 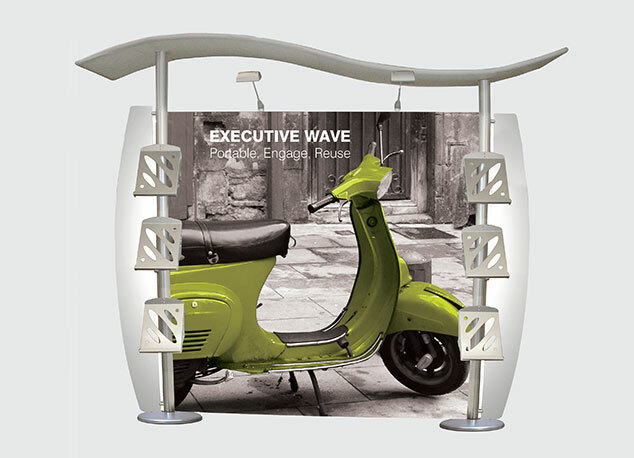 Add a 150watt mains halogen floodlight to your Linear Exec Wave. These lights are available in black and silver and come with a 3m power lead with either a UK or Euro plug. 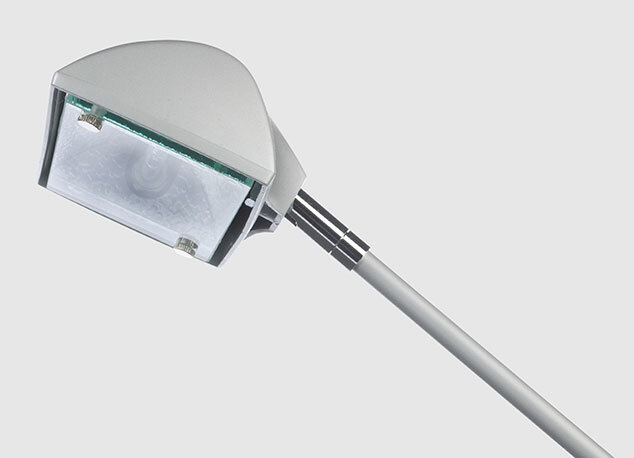 With a 250mm straight arm and adjustable head, these lights offer an added touch to any semi & permanent systems and are available to buy singly or in pairs. 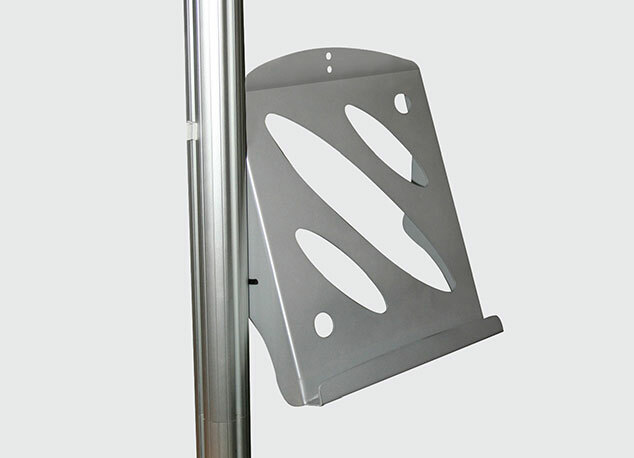 Literature holders fix easily into Linear post channel. 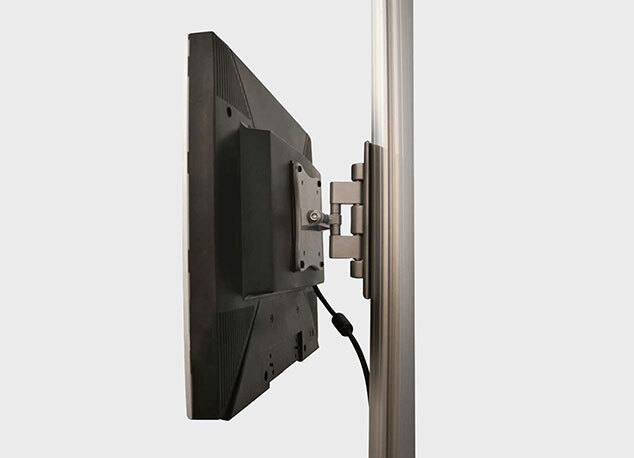 Suitable for monitors up to 20” Hooks over the Linear beam and secured with thumb screws. 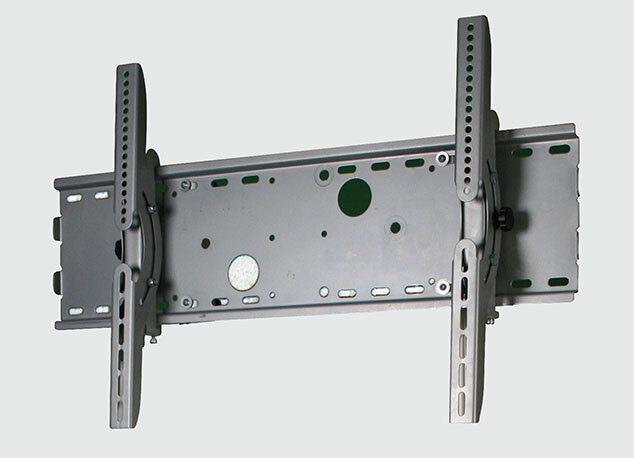 Large LCD Plasma Bracket for monitors up to 42” Can be used for post or beam fixing Beam fixing requires custom screw holes in the beam – please ask for details Suitable for LCD monitors up to 40kg (88lbs) approx. in weight. 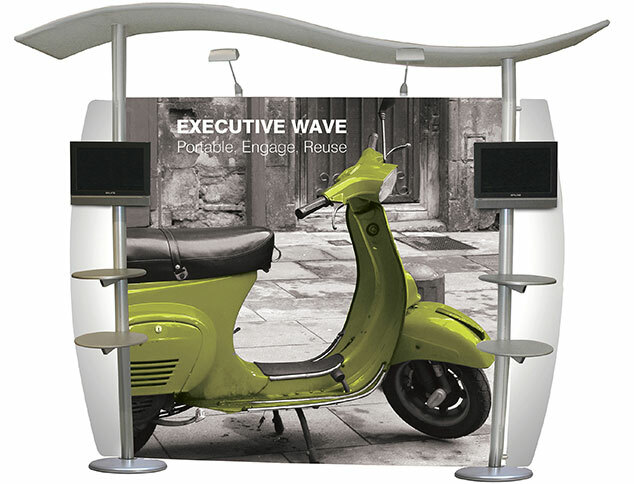 The Linear Poser table offers a useful addition to a Linear display and simply attaches to the Linear post. 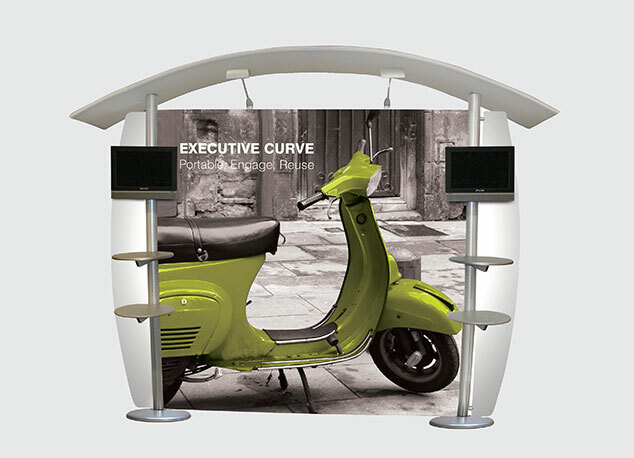 Assembled dimensions: Variable height 1035 – 1075mm x 750mm (w) x 470mm (d) Table top size 640mm wide x 370mm deep approx Choice of Birch, Black or Silver thermoformed table tops. 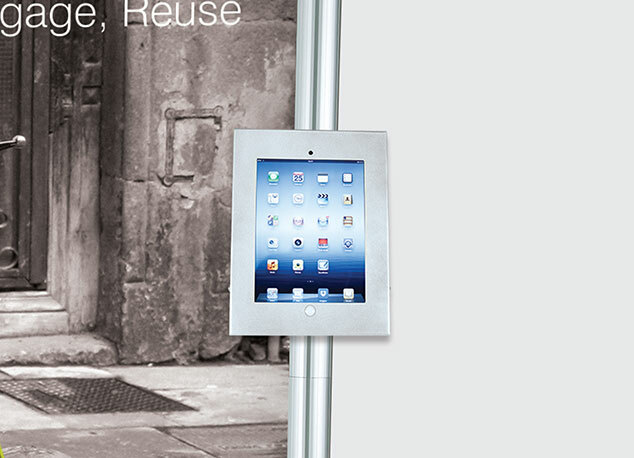 Your iPad can be mounted to your Linear Panel. 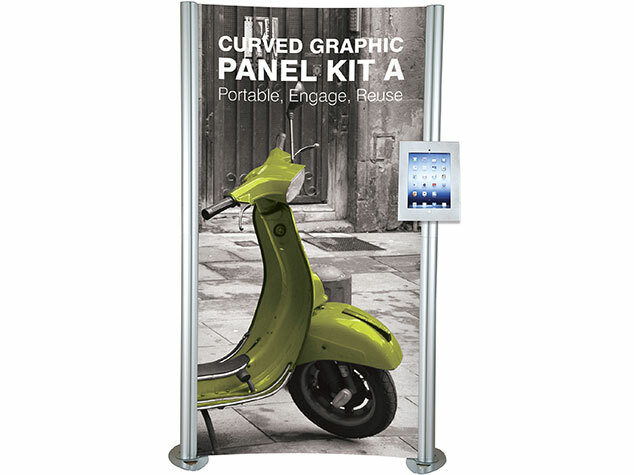 As the name suggests your iPad can rotate 360° and can tilt at any angle; adding multimedia solutions to you display. 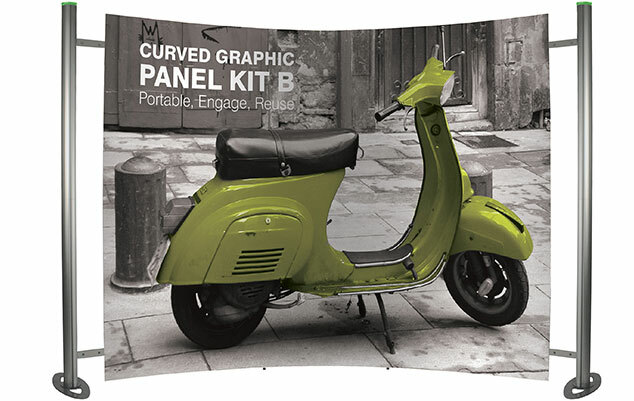 • Comes complete with all parts and fixing kit • Available in black, silver or white surround • Secure housing unit Please note iPad not included. 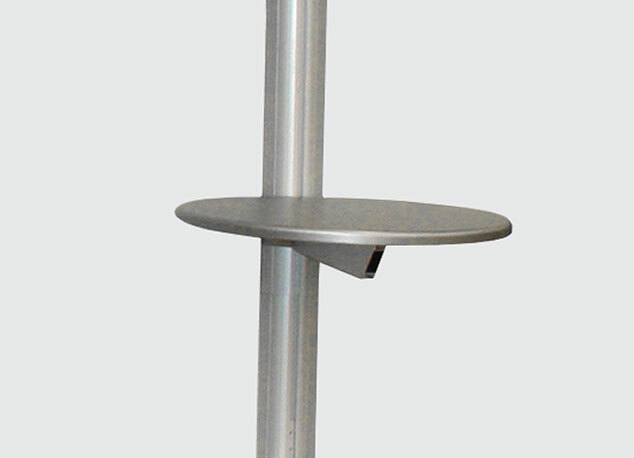 Shelf fixes easily into Linear post channel.